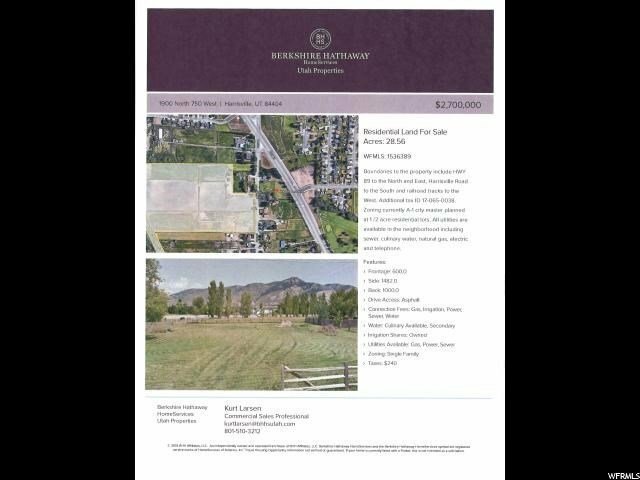 28.56 acres, call for details. All data from county records. Boundaries to the property include HWY 89 to the North and East, Harrisville road to the South and railroad tracks to the West. Additional tax ID 17-065-0038. Zoning currently A-1 city master planned at 1/2 acre residential lots.